CROPS: Creekside Nursery is primarily a woody ornamental grower that produces trees, shrubs, succulents, Knock Out roses, ornamental grasses, perennials and annual color. The company sells to landscapers, independent garden centers and rewholesalers in Texas and Oklahoma. 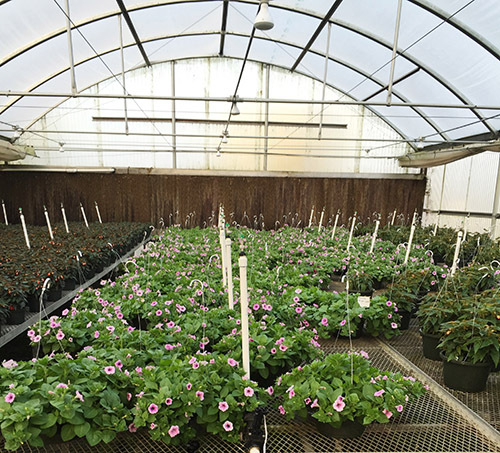 Creekside Nursery used GE Arize Greenhouse Pro LED Flowering Lamps to flower long day plants, including begonias, mandevilla and hibiscus, for sale in February and March. Creekside Nursery has been in business since 1992. Creekside Nursery has a total of about 500 acres of outdoor and indoor production. There are about 40 acres of protected production that includes some unheated winter protection for woody ornamentals. 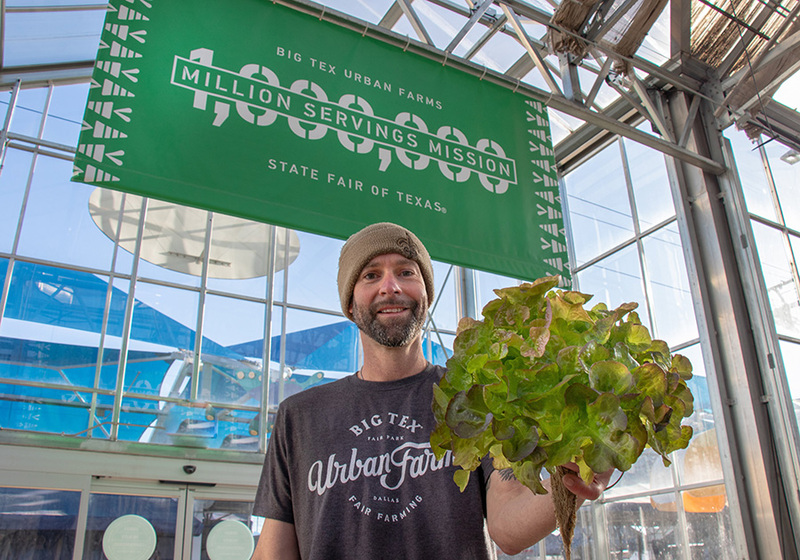 Cox manages about 25 acres of environmentally-controlled greenhouse space. Creekside Nursery had customers that wanted long day plants ready for sale in February and March. “Our salespeople came to us and said there were customers who wanted product ready in mid-February and early March,” Cox said. “These were plants that it just wasn’t possible to have ready at that time of year under normal growing conditions because they were long day plants. These included begonias, mandevilla and hibiscus. For mandevilla and hibiscus trying to have them in flower at this time you have to have a little help. “We had a contract grow for an independent garden center that had an ad going into the newspaper in which they wanted to sell begonias on March 11. There were six different begonia varieties, including some new introductions. The plants were being grown in different size containers including 6-inch pots and hanging baskets. In order to have the begonias ready for the March 11 ad, Creekside Nursery purchased 30 GE Arize Greenhouse Pro LED Flowering Lamps from Hort Americas. The lamps were installed in a 30- by 96-foot greenhouse. “I started the begonias at their regular time as recommended by Ball Seed,” Cox said. “The lamps were set to come on between 10 p.m. and 2 a.m. every night just like with mum lighting. The begonias flowered earlier and were in bloom and ready to sell by the March 11 ad date. Cox said using the GE LED flowering lamps he was able to have all three crops flower faster than if he hadn’t installed the lights. Based on the success he had with the GE LED flowering lamps, Cox said Creekside Nursery is planning to purchase additional lamps to use on more crops. “We expect that we will be doing the begonias again next year since it was such a success this year,” he said. “We are also going to try to flower the mandevillas so they’re ready for sale in March and April. Mandevilla is a major crop for us so we will be using the lights on them. For more: Creekside Nursery, (713) 265-4300; info@creeksidenursery.com; http://creeksidenursery.com. Whether you are growing leafy greens and herbs or starting up fruiting crops like tomatoes or peppers, GE Horticultural LED Lighting from Hort Americas can help insure you get maximum yields! GE provides utility lighting and more. 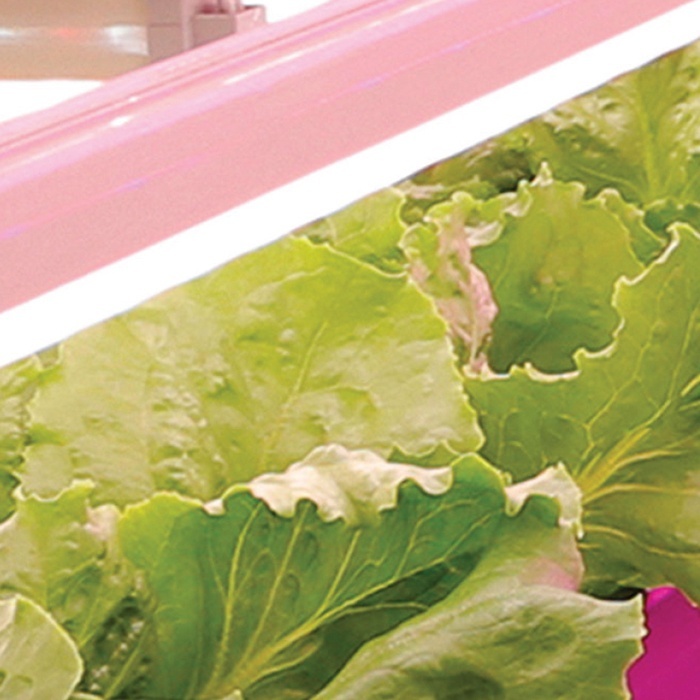 The new Horticulture LED Batten (light strip) is designed to facilitate indoor farming by providing a suitable spectrum of light which allows plants to grow indoors efficiently and under ideal conditions. 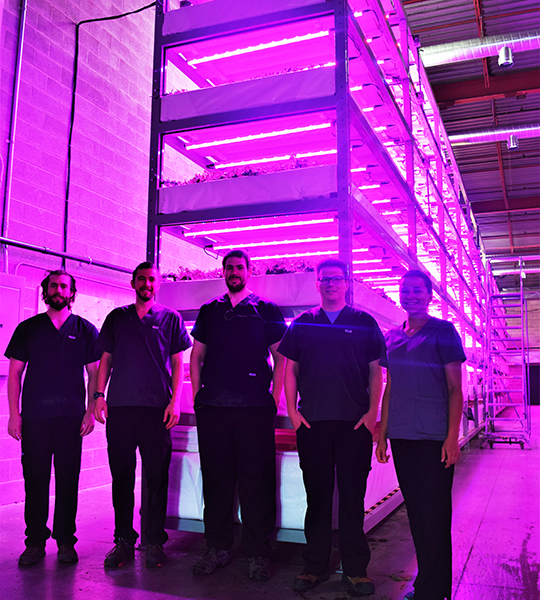 With the optimized light spectrum (red, blue and white) the grower is able to control and tune the light recipe to their choice based on the crops grown. Mitchell’s team has found that LEDs can surpass 50 percent efficiency — converting about half of their energy into plant-usable light — versus just 30 percent for HPS lamps. That translates into significant energy savings, with the cost of powering HPS lamps 400 percent more to produce the same amount of fruit. “The fact that these emitters are so cool — literally cool — and you can put them so close, there’s a tremendous energy savings potential,” says Mitchell.